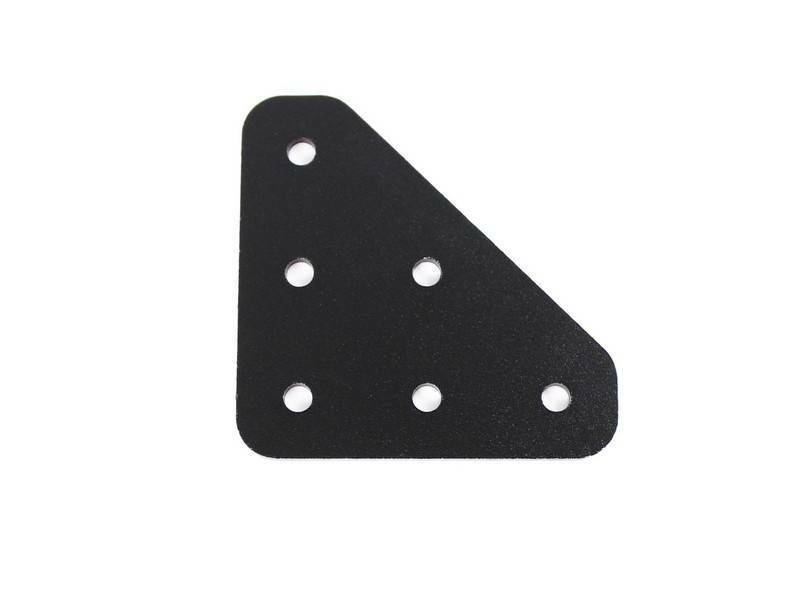 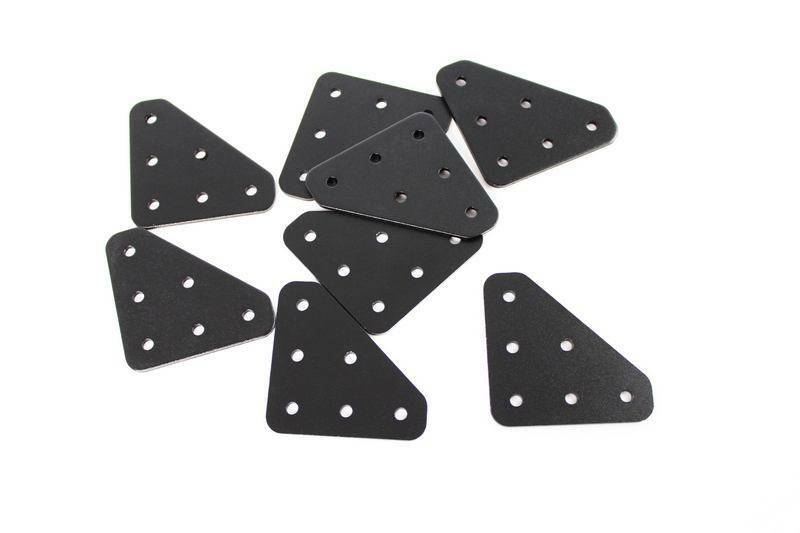 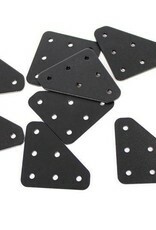 Stamped out of 2mm thick 5052-H32, the same material as our motor mount brackets, then anodized to a jet black finish. 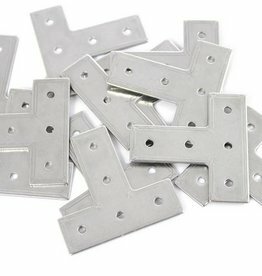 These metal L brackets you to join 2 pieces of OpenBeam at both an L shape and a 45 degree joint. 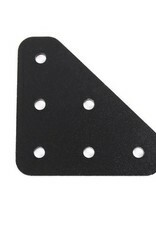 The brackets are smooth on both sides.